The Helmsley is a highly popular style of family home, created by Barratt Homes at its Phoenix Quarter development in Dartford, Kent, currently available from £365,995. As well as providing generous living spaces across three floors, this highly attractive home design is available with the government-backed Help to Buy equity loan scheme and can be bought with a 5% deposit. From its open-plan kitchen/diner to the three evenly-sized double bedrooms, as well as separate and versatile living spaces, this stylish property ticks all the boxes. 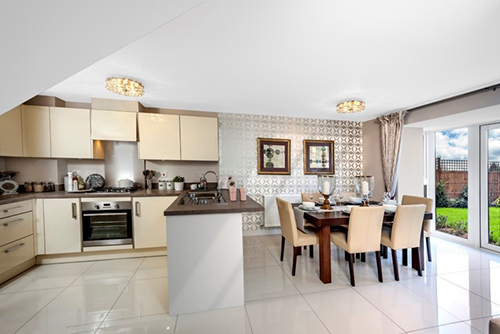 Barratt Homes understands that families want sociable, easy to manage, spacious and quality living spaces. With a great transport network on the doorstep, this home offers great value for homebuyers in the South East.